In western radio, listening is viewed as a mostly private activity. A “one to one” style of presentation is often employed to exploit radios intimacy. However, in developing nations where radio sets can be rare commodities – a more communal form of listening is not unusual. Listening groups for the BBC WST sometimes consisted of up to 20 people, huddled around one radio. These small groups would tune in across the country to hear specific shows and, of course, the news. But first, in order to understand some of the comments that came back from the spot focus groups, we need to examine Ethiopian Broadcasting in more detail. The government views radio as the country’s most important mass medium. The leadership in the country’s only official school of journalism consider radio and TV to be the most important assets in promoting democracy in the rural and remote areas of the country. Radio’s strategic importance is also, some suspect, the reason behind the government’s reluctance to allow for private/commercial radio stations. This entry looks at Ethiopian broadcasting in more detail. It examines some of the issues concerning the freedom of the Ethiopian media in the present political climate. The 1999 Broadcasting Proclamation set out a legal basis for establishment of private commercial radio (Federal Democratic Republic of Ethiopia, 1999) but, to date, no commercial radio stations have been established. State-owned Ethiopia Radio is by far the dominant radio player in the country. Some important developments occurred in 2005, when the Ethiopian Broadcast Authority (EBA) awarded two FM licences to private commercial operators and invited interested community based initiatives to apply. As of September 2006 the two private radio stations – Zami Public Connections (FM 90.7) and Adei Promotions & Tinsaye Kinetbebat (FM102.1) – have yet to become operational.Radio Ethiopia claims to have reached 50 percent of the landmass and 75 percent of the population with a good signal, making it the most influential news source in the country. However, frequency coverage does not reflect the station’s actual availability to listeners, this is due to a lack of radio receivers. 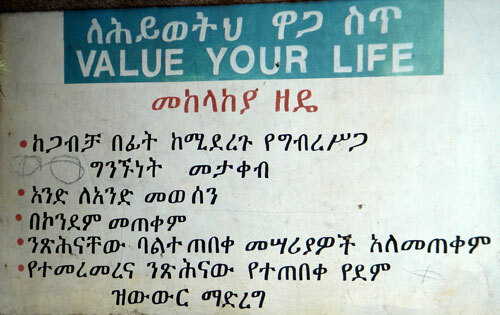 Ordinary audience research is often not conducted in Ethiopia as it is considered to be too costly and too complicated. However, a recent comparative study between 2003 and 2004/5 undertaken by InterMedia found radio listening had increased nationally from 59.5% to 74.7% of the population during that period. As mentioned earlier, all radio stations, with the exception of the two community stations, are under federal or regional government. These state stations focus on broadcasting activities that promote government policies on development – especially on fighting poverty and mobilising towards the Millennium Development Goals (MDGs). According to the Ethiopia Demographic and Health Survey in 2000, only 20.7% of households owned a radio: 61.3% of urban households and 12.8% of rural ones (CSA, 2000). A more recent survey found that around half (48.3%) of the population own a radio set (InterMedia, 2005). With at least two journalists imprisoned on press law violations and 14 held for treason, Ethiopia is now the third-leading jailer of journalists in the world after China and Cuba. Ethiopia has the dubious honour of being Africa’s leading jailer of journalists throughout much of the 1990s. It drove scores of reporters and editors into exile. Until recently, the number of journalists imprisoned had dropped as the government backed away under international pressure from its traditionally confrontational stance toward the press. In the run-up to the May election of 2005, there was even a new scent of freedom as opposition parties were allowed unprecedented access to state media, including the state monopoly broadcast sector. Voting was largely peaceful but unrest began to build after the opposition cited irregularities, including vote rigging allegations and the government’s delay in announcing results. The first wave of protests in June brought a government show of force, with clashes leading to the deaths of at least 40 people. Unrest boiled again in early November after the leading opposition group, the Coalition for Unity and Democracy (CUD), frustrated by its inability to challenge the vote, refused to take part in the new parliament. Stone-throwing crowds were met with gun-firing security forces, and another 40 or more people, mostly civilians, were killed. The Govt. launched a full-scale crackdown, detaining thousands, including opposition leaders and journalists. Along with issuing its “wanted lists,” the government raided newsrooms, blocked newspapers from publishing, and expelled two foreign reporters, including a long-serving Associated Press correspondent. 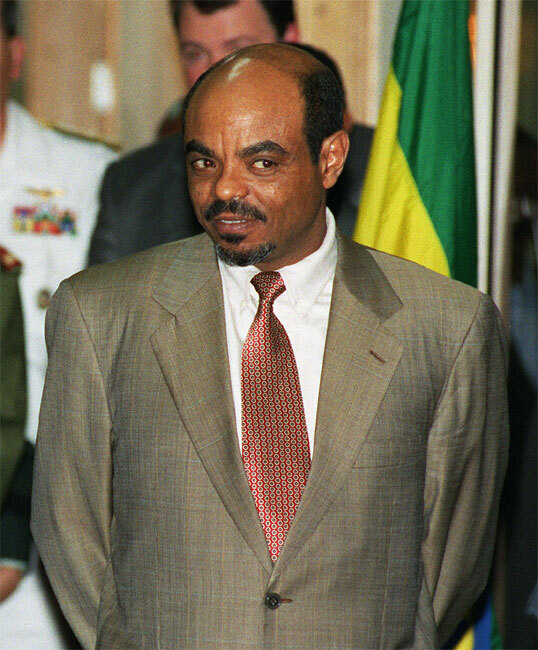 About a dozen exiled Ethiopian journalists were charged in absentia with treason. The U.S. government-funded Voice of America and Germany’s Deutsche Welle, which broadcast radio programs into Ethiopia in local languages, were targeted by smear campaigns in state media, endangering their local correspondents. The minister said that the U.S. government-funded Voice of America (VOA) and the German Deutsche Welle radio were opposition mouthpieces “bent on destabilizing the peace and stability of the country,” the state-owned Ethiopian Herald reported. Both stations are popular news sources in Ethiopia, which has no local independent radio stations. Local journalists told CPJ that the minister’s remarks, which came on the heels of a violent attack on a VOA stringer by unidentified assailants, could endanger the safety of VOA and Deutsche Welle reporters in Ethiopia. In June, the Information Ministry had revoked the accreditation of three local correspondents working for VOA and two working for Deutsche Welle, accusing the journalists, all Ethiopian citizens, of filing “unbalanced reports” on the elections. Several fled the country, fearing further persecution by authorities.The government unleashed a sudden and far-reaching crackdown on the independent press in November following clashes between police and antigovernment protesters that left more than 40 people dead. Authorities detained more than a dozen journalists, issued a wanted list of editors and publishers, and threatened to charge journalists with treason, an offense punishable by death in Ethiopia. Dozens of journalists went into hiding during the crackdown, virtually silencing the local private press. 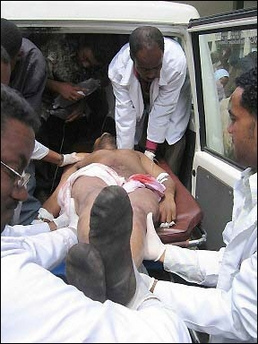 Addis Zena, Sept. 19, 2005: “The people of Ethiopia have clearly been robbed of their voices. A party or a government that conspired to rob the voice of its own people should never be given legitimacy. Even if it wants to stay in power, the people would only chant ‘Thief! Thief!’ and would not let it happen. Should the BBC WST actually be training the staff of Radio Ethiopia? Although there are without doubt some dedicated staff and valuable programmes being made by the organisation – Radio Ethiopia could possibly be described as a propaganda tool for the current Ethiopian Government. The lack of trust demonstrated by the focus groups seriously jeopardised the project. But, for all its perceived faults, Radio Ethiopia still remains the most listened to station. It reaches far more citizens with greater coverage than another broadcaster – and as such, its power must be harnessed in order to spread messages effectively.